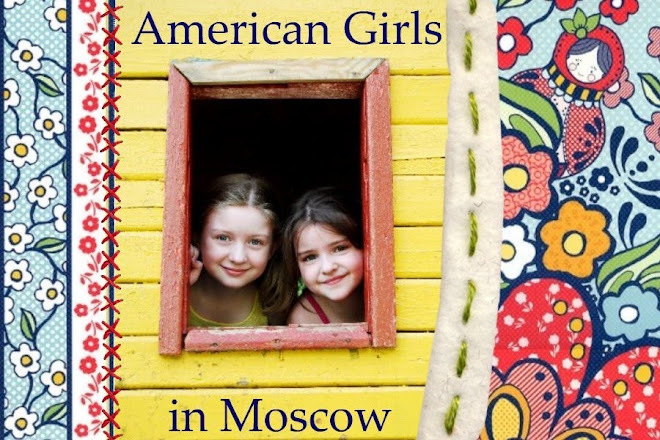 American Girls in Moscow: Twirly Girlies! 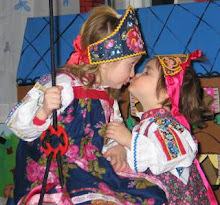 Natalia twirled with a local group for a few afternoons this week and loved being part of it all. Their coach is the same woman who taught baton twirling at her camp and she thinks she's the greatest! All the girls put on a little show in the afternoon. It turns out that the daughter of my mom's boss is also in the group! Natalia thought she was so nice... She helped out with the younger girls. Katya asked if we could give both of them a little bouquet. What a fun week it was for Natalia. I'm so glad I was able to see the performance and see her throw her baton in the air and catch it. Ohh the memories...I thought twirling was a southern thing!! I know lots of my girl pals did it when we were young...Actually 4or5 went to FSU to twirl in college!! Cute cute! and glad your girlz got the chance to participate!! !I am sure they had a blast! Katya has picked up that Russian custom of presenting people with bouquets! Very sweet. We always presented our daughter with flowers at her ice skating exhibitions and other parents did too.